I was perusing Etsy.com (keyword 'striped', natch) when I stumbled across the sweater of all sweaters. It's as if I've died and gone to sweater heaven, seriously! 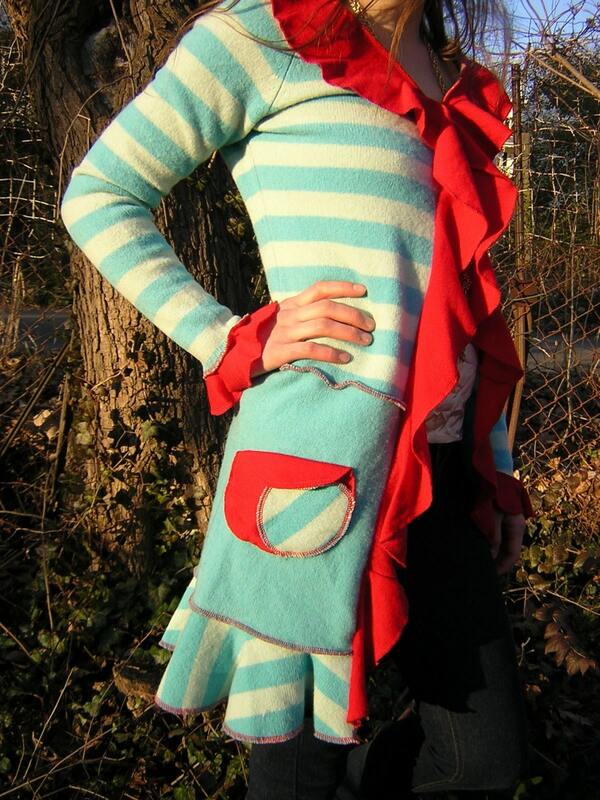 This piece of wearable art is not only made of my favorite colors but it has stripes AND ruffles, to boot! Oh my...Totally WANT!! !